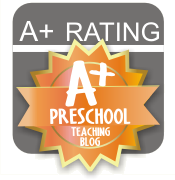 I always get so excited on Sundays for my Monday mom and tot class! 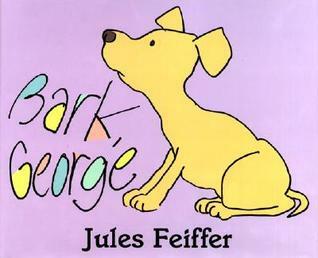 I am extra excited this week because tomorrow I am reading one of my favorite picture books, Bark, George by Jules Fieffer. I have to admit that I have loved this book for quite some time. The first time that I read it, I couldn’t stop laughing, I thought it was so cute and funny! The book features simple language and illustrations. It begins with a bus driver telling the reader not to let the pigeon drive the bus while he is away. When done correctly, a book that speaks directly to the reader can be a really fun and engaging experience for the reader. In this case, the reader is responsible for following the driver’s instructions to not let the pigeon drive the bus, no matter what the pigeon says or does. The pigeon tries really hard to change the readers mind. He is very convincing. He begs and pleads. The author obviously has experience with begging kids, because the way that the pigeon begs is SPOT ON! I read this book to my daughter and she like it. She hasn’t fallen in love with it like I expect her to at some point. I’m pretty sure that she sides with the begging pigeon and feels bad for him (go figure!). Overall, I recommend this book for preschool to elementary school aged children. It is a really fun read!! Here is a website for the book that has links to the awards, sequels, and more information.